franmade: Double Whiff of Candy! Do you smell that? Yes, it's time for some Whiff of Joy candy, courtesy of Katharina. She has generously given me not 1 but 2 gorgeous Whiff of Joy stamps for blog candy. and 'Teenage Lizzie', as shown in the photos along with the cards (made with my stamps, you'll get brand new ones still in it's cute lil packet. Charlie comes with the matching sentiment too, not shown in photo). So all you have to do to enter is comment on this post and spread the word, that's it! It's open to ALL and I will pick 2 winners next Tuesday 2nd Dec. The first winner will get to choose which stamp they would prefer and the 2nd winner will obviously get the remaining stamp. I am linking it on my blog now. Oooooh what a lovely treat I love the cards I have just added a link to your blog on mine. I love these stamps they stamp a lovely clean image ordered for the first time from whiff of joy last week! Thanks for offering such awesome blog candy!! I'm linking to your blog!! Wow. What a lovely prize. I have put the link to your blog on mine. Thanks for the chance. AAAH what a lovely prize! Great candy! Will post a link on my blog for you. Your cards are gorgeous and so different in feeling because of the colors you used! Great stamps...I've passed the word about your blog! Great stamps and wonderful cards! I especially like Teenage Lizzie. Spreading the word about your Blog candy!! Thanks for giving us the chance to win! Oh, how I would love to win one of these beauties!!! I very seriously doubt I could be so lucky, but you have been linked:o) Thank you for such a fabulous opportunity! Oh, I like this stamps! That's a lovely prize! I've put a link on my blog. Hi what a fabulous prize. These stamps are georgeous. I have put a post on my blog. Great stamps! Thanks for the chance to win, I will put a link on my blog. Oooohhh lovely candy! Fab cards too! Have put a link on my blog. YAY! What fun candy! I LOVE WOJ! Those are my FAVORITE brand of stamps! Thank you so very much for the chance to win! I am going to link your candy on my blog shortly! Oh Wow! I love these stamps!! I put a link in my blog candy sidebar. Oh I so want one of these stamps! I will link you from my blog too! Oohhh! I love WOJ stamps-especially that Charlie, what a cutie! Love this Fran. You once again prooved your excellent tastes when it comes to choose colours. Scrummy blog candy. Would love to win one of these..... Am off to link to my blog. So generous fran! I'll get the word out. thanks for the chance to win! I love both of those, but the Lizzie just melts my heart! Thanks for so much beautiful inspiration, and Happy Thanksgiving! Oh, that's so sweet of you. I've put a link on my blog :)). Thank you for a chance to win :)). Hi fran I have put a link on my blog. Amazing candy by the way! Great Candy giveaway. I've put a link on my blog back to your page. If I win could I have the boy with presents please? Oh I would love either of these stamps! OOhh! Fran these are lovely but i don't have a blog (boo hoo!) Will tell all my craft mates so can i pleeeeeez be in the draw for the candy??????? These are so cute, I am linking you on my blog toO! Sweet Candy Fran. I've linked you. Loved candy- Thanks for the chance to win. Information on the candy given to my blog. Such generous candy,love your blog for its inpiration and also thanks for a chance to win. Post is up on the right.Have a good weekend! great prize!!! I will go and put it on my blog. Thanks for the chance!! Great candy! Thank you for a chance to win these great WOJ stamps. Whohoo!! I don't have either one of these!! I will put a link on my blog. Wonderful card with a cute image!! I linked you on my sidebar. Thanks for the chance to win your wonderful blog candy! Have a great day! FABULOUS! I don't have any of these stamps. Think the boy is grgeous. I have linked you on my blog. Thanks for the chance to win. Hope I do!!!! wonderful candy!! I hope to win!! Thank's for the chance! Love those stamps! Thanks for the chance to win. You´re being very generous. I linked you here. Hi Fran, what great cards you have made using the stamps - it's a shame we can't win these seperately ! I have left a link in my side bar on my blog. hiya fran what a brill prize, have linked you on my blog. Cute stamps! I've linked you in my CandyBar at The Paper Freak. I've linked you to my blog (on the right hand side). I would love to win it! Still haven't got a whiff yet!! Great candy, thanks for the chance to win. I'm off to blog now. Have put a link on my blog :)! What great candy! I've added a link on my blog. So glad I found my way to your blog. I have added your blog to my favorite blogs and have made a short post about your giveaway! Hi Fran, I've linked your Blog Candy on my Blog. Thanks for both chances to win. Wow Thanks for the chance Fran. It is sooo cool !! Oh wow, I think I am just in time. I love the Lizzie stamp, would love to win her! 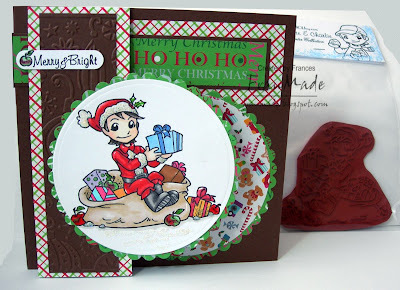 Your cards are stunning and the stamps are a fabulous prize, linking on my blog now. These stamps are super cute, I would love to win one!!! If I could be so lucky! Anyone who knows anything links london about jewelry understands the hierarchy of precious links of london bracelet metals with platinum being atop it. links of london charms While many people pine for gold, platinum is more highly prized links of london watches by the informed. Platinum is an extremely rare, links of london rings even more so then gold which in part the reason links of london necklaces why it is considered superior. 30something, married, & addicted to cardmaking and craft shopping! Main love (besides hubby!) is rubber stamping. Blog candy winner . . .
NEW Whiff of Joy stamps . 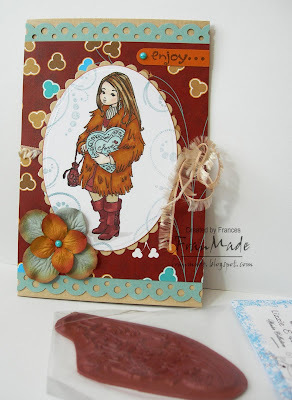 . .
Tilda & Friends ATC: soft & fluffy! Where my money goes. . .
Hanglar - whoohoo, finally their own shop! All my creations, including designs, concepts, text, and photographs are mine unless otherwise stated. They are here for you to enjoy and to take inspiration from. If you do 'take' anything it should be for personal use only and should state the source if you post it on your blog. At no time should they be used for publication or design contests. Also need to say that this blog, 'Franmade', has nothing to do with any other sites which might contain the word 'FranMade'. 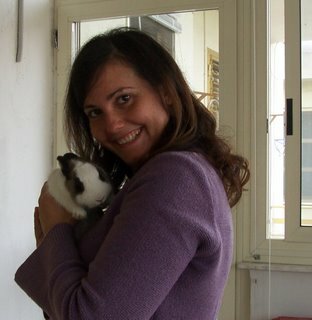 This is my one and only personal blog, all other sites with the same name are unconnected to me.